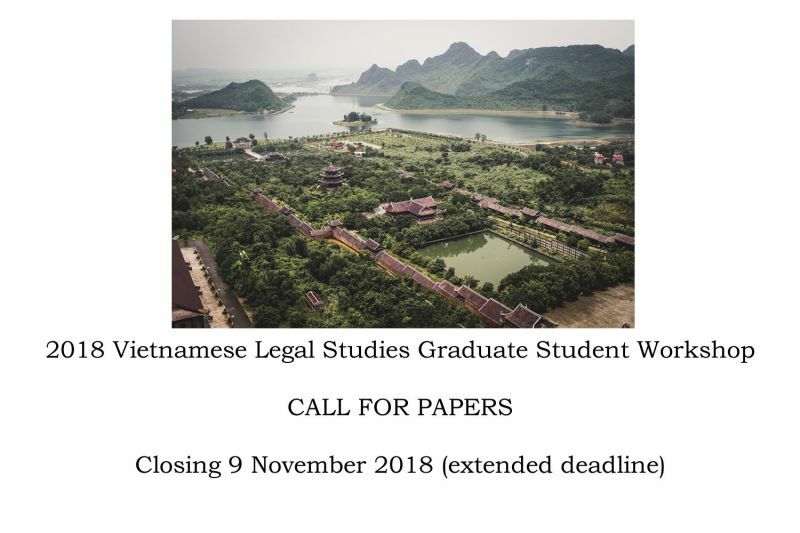 The Asian Law Centre at the Melbourne Law School and the Asia-Pacific Business Regulation Group in the Department of Business Law at Monash University will host the 6th biennial Vietnamese Legal Studies Graduate Student Workshop, “Researching and Writing: Vietnamese Legal Change”, on Thursday, 22nd November, 2018. This Workshop aims to bring together postgraduate students from Australia and New Zealand who are researching topics relating to Vietnamese legal studies. It will provide students with a supportive, collegial atmosphere and the opportunity to meet students with similar interests. Students will benefit from feedback received from their peers and selected academic experts in the field, including Professor Pip Nicholson (University of Melbourne); Professor John Gillespie (Monash University); and Dr Ha Hai Do (University of Melbourne). Postgraduate students from Australia and New Zealand are invited to present papers on a topic specifically related to their current research. Students are invited to present papers for a maximum of 15-20 minutes on a topic specifically related to their current postgraduate research. If you would like to present a paper at this conference, please complete and submit the online form CALL FOR PAPERS by 5pm, Friday 9 November, 2018. You will be advised if your paper has been accepted by 12 November, 2018. A contribution (up to A$250.00) towards the cost of travel to Melbourne may be available for interstate postgraduate students who wish to attend the Workshop. If you would like to apply for such funding, please complete this section on the application form. Please email the Asian Law Centre at law-alc@unimelb.edu.au for any queries you may have.